The i3's range extender version will remain in the U.S. because driving distances are longer. FRANKFURT -- BMW no longer will offer range extenders powered by combustion engines on its i3 full-electric vehicle in Europe once the new, more powerful battery with 120 ampere-hours replaces its predecessor. BMW said the outgoing 94 Ah version with a 33-kWh battery, certified at 280 km (174 miles) under the previous New European Driving Cycle, offered a true range of up to 200 km (124 miles) in everyday conditions. For an additional 4,600 euros ($5,280), customers could order an i3 equipped with a 38-hp, two-cylinder gasoline engine that recharges the battery while driving. This lengthened the i3’s total range to as much as 330 km (205 miles) in real-life driving. But as the energy density of the battery cells has improved, demand for this option has declined, executives said. 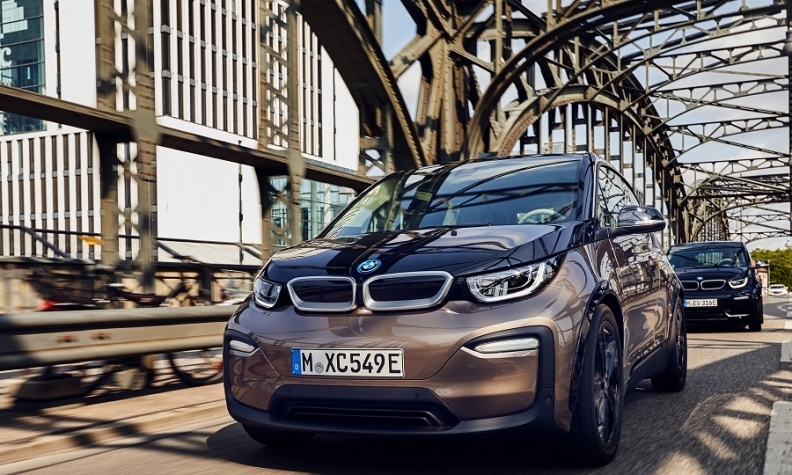 “Thanks to a more powerful battery with a greater range, the take rate for the range extender dropped to 25 percent from slightly above 50 percent here in Europe with the 60 Ah i3,” Robert Irlinger, head of BMW i, told Automotive News Europe. “We believe with the 120 Ah version, it would fall further. Unlike before, BMW will not offer both battery versions, in part because it will not charge more this time for the latest upgrade to 120 Ah. Some markets, such as Germany, will see a 450-euro (about $515) price increase anyway because the car will come equipped with the option of using faster 50-kW direct current to charge as standard. This feature, which replenishes the battery in about 45 minutes, previously cost 990 euros (about $1,135) extra.